Almost everyone has a mobile device. Whether it be a smart phone, iPad, PDA, or laptop, we can always be up to date with what’s happening around us. Now think about people in your organization who are rarely in the office. Salespeople, service technicians, and warehouse workers are on the job all day long and might only be able to report their work once or twice a day. Wouldn’t it be great if they could enter every transaction they make directly into your business system as they take place? This is exactly what a Mobile ERP allows you and your employees to do. Not only will you know exactly where your business stands at any given point in the day, but your employees will also have up-to-date information at their fingertips. Your warehouse will update the status of inventory instantly. A salesperson will then know exactly what inventory is available for sale. A service tech could bill a customer on site. All this can be accomplished without even having to step into the office. business’ information in real-time. 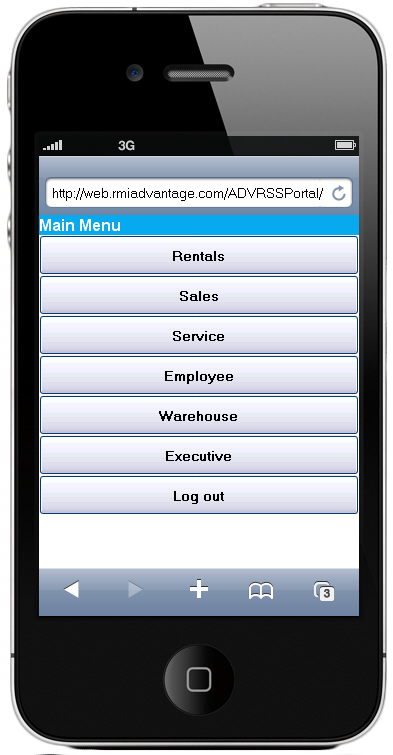 With ADVANTAGE Mobile, you can now use the mobile technology you already own to its full potential. Are you concerned about employee productivity while they’re away from the office? The ADVANTAGE Mobile User will help you answer that question. By equipping your employees with ADVANTAGE Mobile while out on a job, you as a manager have the ability to better monitor their performance. This is easily done through the use of Key Performance Indicators, or KPI’s. KPI’s are automatically generated reports specific to what you need to know about your business. For example, number of jobs completed in a day, time spent on each job, and gross profit, are just some KPI’s you could use to monitor your business. If you choose to go Mobile, you can track nearly everything your employees do while out in the field. By utilizing KPI’s with your ADVANTAGE Mobile Users, it will become clear which of your employees are most valuable to your organization, as well as which ones need improvement. ← Mobile is not the future…it’s NOW! I agree with your post that mobile technology helps a lot in managing our business, because we can stay in touch with our parteners in every moment. We also can use email in almost every mobile phones and we can make such a partnership with our mobile customer to make cheap calls and have more options. Good post !